IRVINE, Calif., March 14, 2019 /PRNewswire/ -- Irvine Technology Corporation; a National Information Technology Staffing and Solution provider joined by uGovernIT a portfolio management software company, today announced their first graduating class for their Fall 2018 Women in Leadership CIO Certification Program. A program that derived from two CEO's who wanted to see more women leading technology in the "C Suite" took formation September 2018 and completed their first class March 2019. This free course was designed by Nicole McMackin and Dr. Subbu Murthy as well as many other prominent CIOs who felt strongly that women in leadership must continue to grow. The CIO Certification Course is believed to be first of its kind designed to help women who are experienced in technology management to get to the coveted position of the Chief Information Officer (CIO). With technology playing a critical role in the success of an enterprise, the CIO is the bridge between the business and technology driving efficiency and innovation while creating a competitive edge in the market place. Fifteen women were nominated by various CIOs in Southern California to participate in a thirteen-week deep learning course. The program addressed both small and large technology portfolios and provided real life scenarios to learn from and address. Nicole McMackin, CEO of Irvine Technology Corporation commented, "We are thrilled to pioneer a successful program that changes women's lives. The feedback from our executive students was overwhelmingly positive and I am excited to follow their career paths as they make their way up the corporate ladder and begin their journey into the CIO seat. This program focused heavily on the role of the CIO and the overarching tenets that help aspiring women secure a position as an effective leader in this space. We cannot wait to begin our next session for new executives beginning September 2019." Dr. Subbu Murthy, CEO of uGovernIT added, "The program was nurtured by practitioners who all believed that the key to the success of any organization depended on how well technology was assimilated within the organization. We addressed this in the Certification program by not just focusing on traditional constructs like ITSM and TBM, but on how to enable organizations to be centers of innovation. Nicole and I were fortunate to find students who were enthusiastic and actively contributed to the success of this program." Irvine Technology Corporation and uGovernIT are two organizations passionate about helping women achieve their career goals and this program will continue until more women are in technology leadership positions throughout the country. 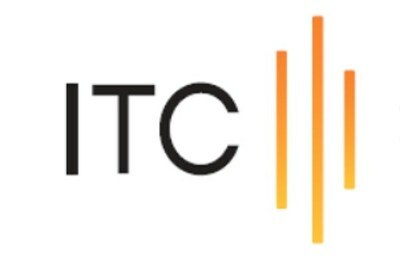 About Irvine Technology Corporation (ITC): ITC is a National Staffing and Solution provider for midsized to large organizations. For more information, please visit www.irvinetechcorp.com. About uGovernIT: uGovernIT provides tools that enable automated workflows to support ITSM, TBM and analytics based IT governance. For more information, please visit www.ugovernit.com.